Artist's impression of the URBNSURF Perth Wavepark. New Wavepool set for Melbourne in early 2018! With new and improved technology, and a signed lease already in place in Melbourne, next up is Sydney and Perth. Welcome to the future, baby! URBNSURF plan to use Wavegarden technology, but with a delicious twist. Imagine Snowdonia, but with an almond-shaped, continuous barrel. Surfing Life sat down with Executive Chairman from the Wavepark Group behind it all, Andrew Ross and we got the lowdown! Andrew recently surfed the tweaked-out, almond-shaped wave of Snowdonia, going by the name of, the Cove. He caught 65 waves in one hour, of which he says were, “barrelling waves”. This news, we’re sure will gets lots of people’s juices flowing harder than the current in the shallow end of the pool. Here’s the full interview with Andrew! Could you elaborate what we can expect to see with the wave? The latest version of wave generating technology from Wavegarden is called the ‘Cove’. It is a significant evolution from the prior wave foil design, in that it creates high quality surfing waves up to about 2.1 m in height, with a wave every 8 seconds. Unlike the wave foil tech, the ‘Cove’ can also deliver a range of different wave types and heights and push them through at different frequencies. One of the wave types includes a true barrelling wave, with a trough and a concave shape, that means the wave wraps back at you like a point break. This is different to the current wave foil tech where the wave is somewhat convex shaped, in that it bends back away from you as it breaks. I surfed the new full-scale ‘Cove’ in December, and it is awesome! I had 65 waves in about an hour with a few other guys – was hard to walk afterwards. 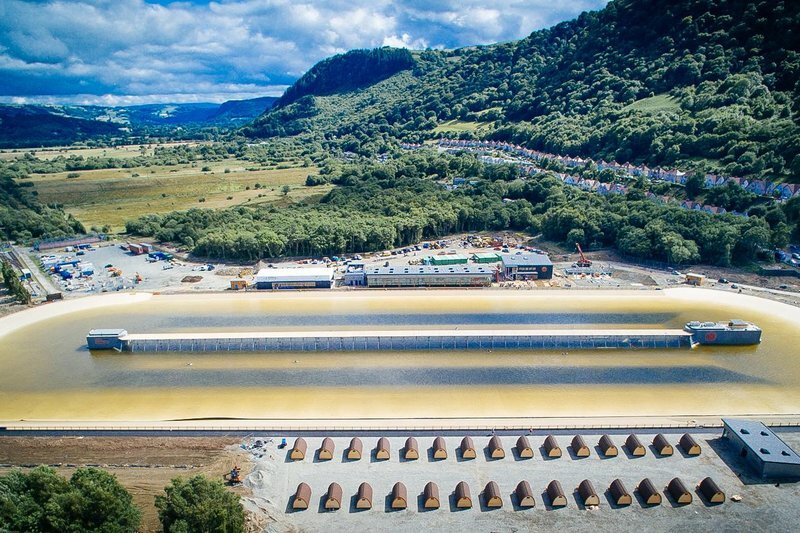 Wavegarden is remaining a bit tight lipped on the ‘Cove’ at the moment, but I understand they will be publishing further information on it very soon. 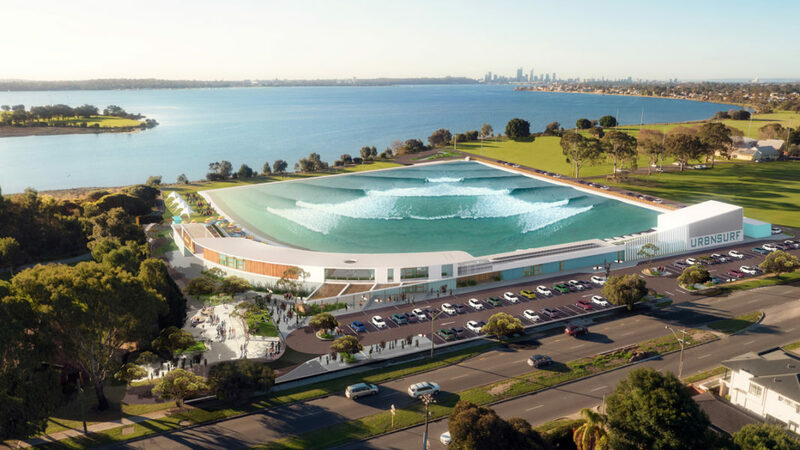 URBNSURF has recently stated that a Cove wave pool could open in Melbourne by the end of this year. Has construction started? Construction hasn’t started yet, but we are getting close. When the ‘Cove’ technology became available mid-way through last year, we had to jettison all of the planning and design work we had completed over the prior 12 months and re-design the whole facility. That also required a new planning consent, which added 6 months to our schedule. The old recti-linear lagoon which has been significantly upgraded to make hollower waves. Melbourne will be the first site for the new wavepool tech. Sally Fitz giving the R&D wavepool in Spain the once over. With improved wave technology rapidly evolving, expect waves twice this size! What are some of the major hurdles URBNSURF is facing before it can open its first Australian wave pool? Although we’ve had a delay due to the adoption of the new technology, most of the other major hurdles for the URBNSURF Melbourne project have been overcome at this point. We have a signed lease in place, the schematic design is complete, we have received planning consent for the development, and are in the process of closing out the capital raising for the project. We need to finalise our detailed engineering design and tender a couple of packages of works, but things are progressing reasonably well at this stage. The project we have at Sydney Olympic Park and the latest one in Perth are also progressing well. Artist’s impression of the URBNSURF Perth Wavepark. With surfing in the Olympics, and WSL acquiring a 50% stake in Kelly Slater’s Wave Pool, alotta pundits believe surfing’s future growth will rely heavily on the success of wave pools. Do you agree? If by growth you mean growth in total participation in the sport, then absolutely. And by total participation, I mean getting more people into surfing for the first time, getting former surfers back into surfing, and by giving existing surfers more opportunity to increase their overall wave count per year and simply surf more. A good analogy is the chairlift – no-one really undertook skiing prior to the late 1940’s because you had to trek up a snow-covered mountain to do it. With the invention of the chair lift though, it opened up winter sports to the general public by making it convenient, accessible and safe. From a relatively small base, the winter sports market has grown over the past 60 years to about 2,600 ski resorts, 24,000 installed lifts and about 400 million participants a year. I’m not sure about the impact the Olympics will have. Given the time of year it is being held in Japan, unless the 2020 Games are held in a surf park where you can guarantee at least a reasonable wave, I think there is a fair chance the event could be a dud and not a great showcase for surfing as a sport. 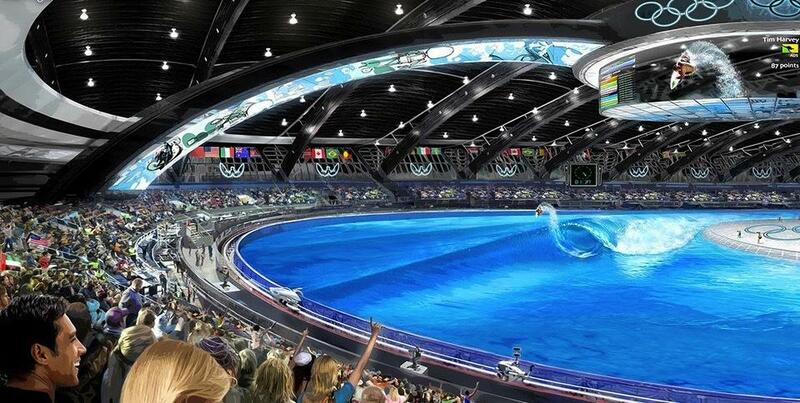 Will this artist’s impression of a wavepool Olympics come to fruition right here in Melbourne? Regarding costs, while location and other localised factors need to be taken into account, could you give a ballpark figure of how much an URBNSURF park will cost to build? As you say, the total capital costs are linked very much to site specific factors, but a ball park in an Australian capital city is between $25m and $30m for a full-scale facility with associated amenity buildings, landscaping, car parking, lighting etc. ready to open to guests. Also, what would be an estimated ongoing cost? eg. electricity, maintenance, water bills, etc. The main operating cost, in fact, is labour, as we will have about 35 staff working full time in the facility. Other important costs relate to power, rent and maintenance, and these vary from site to site. The original Snowdonia in Wales has had its wave technology improved, and now offers an almond shaped barrel. 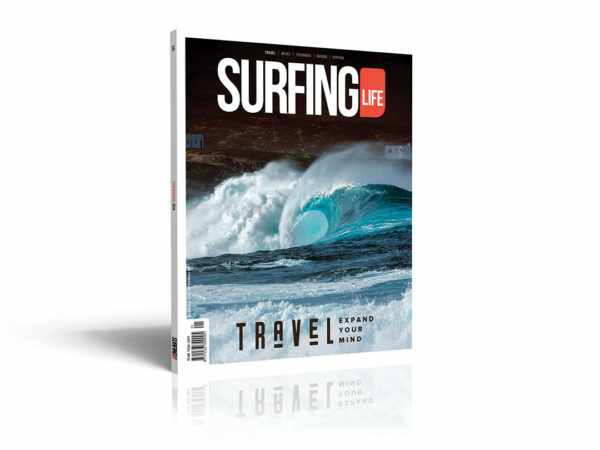 What are your thoughts here loyal Surfing Life readers? With Australian land and power prices, are wavepools the ultimate boondoggle? Will Wavepools be the future of surfing? 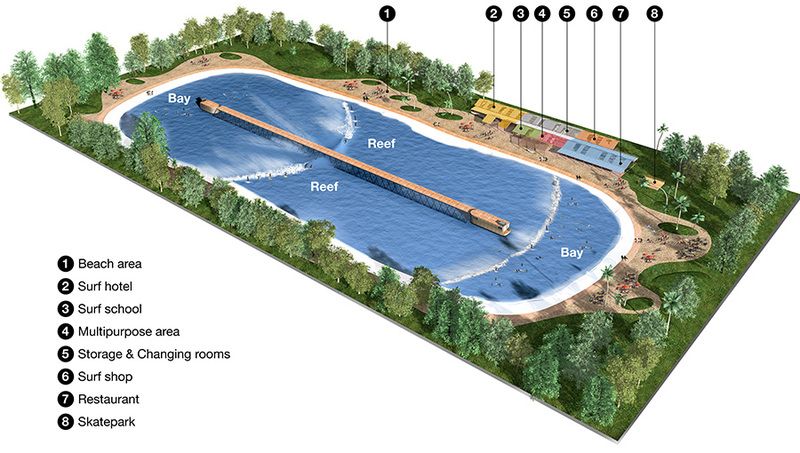 Who’s reading this right now and plans to head to the Melbourne, Sydney or Perth Wavegarden once they’re built? Do you like wavepools for no other reason, then it might unclog the crowds from some of our favourite beaches and points around our coasts?